Though she built a multi-million-dollar brand in her family lodge—located two miles away from their main home—by cooking sodium rich, meat-heavy lunches (complete with a whipped dessert served in a mason jar) for the men in her life as they spent the day repairing fences or herding the cattle or repairing other fences or digging rows of holes somewhere beyond the horizon, a fun fact to remember is that Ree Drummond (aka The Pioneer Woman) is a literal pioneer who—along with her husband Ladd—owns a big ol’ chunk of Oklahoma. The [Drummond] family helped write ranching history in Oklahoma. Clan patriarch Frederick Drummond (1864–1913) emigrated from Scotland and married Kansas native Addie Gentner. All three of their sons became successful cattle ranchers, and their descendants oversee hundreds of thousands of acres in Oklahoma and Kansas. It’s not exactly news that the Drummonds were astonishingly wealthy and successful ranchers long before Ree found fame with recipes like “Chicken Enchilasagna,” but—as someone who begrudgingly watches The Pioneer Woman for reasons I can’t quite articulate—the almost incomprehensible amount of land the family owns makes every shot of Ree—buckled in her larger-than-life SUV—traveling down a deserted ranch road to, oh, the main house or the “merc” or her BFF Hyacinth’s place all the more hilarious. Per this excellent Thrillist profile from last month, the Drummonds are the second-largest employers in their town, and have “gone out of her way to ensure that everyone is being paid living wage.” Isn’t that nice? I can’t stand looking at her food (despite the fact that I’m constantly tuning in to look at her food), but that’s actually nice. 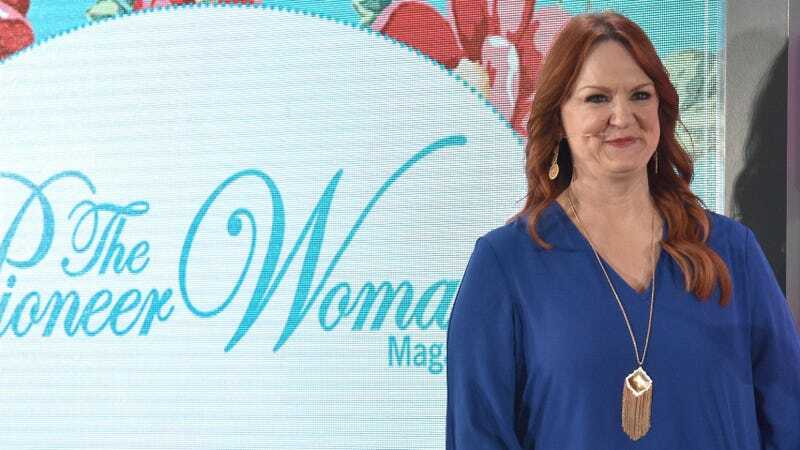 Everything the light touches is Ree Drummond’s kingdom. How weird. I love when she drives 2 miles to the other house while teaching you how to cook something gross.